The Joffrey Ballet School (JBS) is still in its original home of Sixth Avenue and 10th Street, in the heart of NYC’s Greenwich Village. While there have been many changes (and additions – JBS now has summer programs in seven cities, for example) since Robert Joffrey and Gerald Arpino first opened the school in 1953, certain things, besides the iconic location, have remained the same. The richness of JBS’s history and original teachings continue to inspire the school’s faculty and translate into a crop of talented, versatile dancers, many of whom have gone on to pursue a professional performance career. Michael Blake leads a class at Joffrey Ballet School. Photo by James Culp. In NYC, students are guided by Jo Matos, artistic director of JBS’s Children’s and Youth Ballet Programs, and by Michael Blake, artistic director of the Jazz and Contemporary Program. Both faculty members bring to JBS a well-rounded dance background and a commitment to teaching clean technique while inspiring each dancer to find his/her individual artist, an extension of Joffrey’s initial methods. And Matos, who came to the school in 2007, expresses that JBS’s teachings are rooted in Joffrey’s initial vision but also adjust to the fluctuating society and culture, all to aid in creating the 21st century dancer. 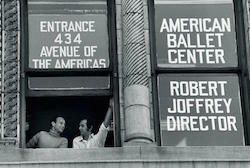 Robert Joffrey and Gerald Arpino at the Joffrey Ballet School window, Photo courtesy of JBS. “The school is designed to reflect the original concepts of using the music, art, social issues and cutting edge dance styles of the day to create a truly American style of dance,” Matos adds. In terms of JBS’s NYC ballet programs, which include a children’s department for ages two to seven, a youth program for dancers eight to 18, a trainee department, the pre-professional Joffrey Concert Group and an open adult program, clean technique is at the forefront of the school’s teaching. Faculty members have professional performance experience, most often a BFA and many with a MFA. Over the years, JBS has expanded its programs and now offers students the opportunity to focus on more contemporary and modern forms as well. Blake says the NYC Jazz and Contemporary Program, which he has led since 2011, is simply an extension of the ballet school’s original leaders with an emphasis on the demands of today’s dancer. 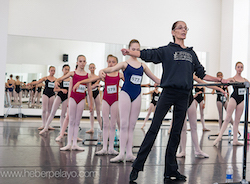 Joffrey Ballet School’s Jo Matos teaching. Photo by Heber Pelayo. And there is proof in the pudding. JBS’s NYC Ballet Program and its Jazz and Contemporary Program have produced dancers who lead professional careers in the field. JBS students have the opportunity to audition and perform with the Joffrey Concert Group, which performs nationally and internationally, and many of those dancers have been placed in companies around the country and world. In addition, students of the Jazz and Contemporary Program have gone on to perform on cruise ships and in Tokyo Disneyland, tour with musical theater companies, be featured in national print ads, and dance with NYC choreographers such as Earl Mosley, Sue Samuels, Lane Gifford and Jana Hicks. And the school’s first graduating class of Blake’s four-year program will be going out into the professional world at the end of this school year, so the list of accomplishments will be sure to grow. 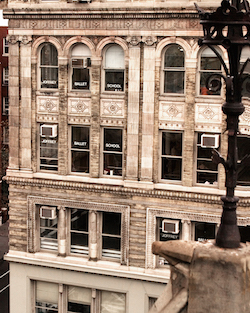 The Joffrey Ballet School remains in its original location in NYC’s Greenwich Village. Photo courtesy of JBS. The richness and tradition of JBS has surely brought about these successes. It is a school that sticks to its roots but has its students’ best interests at heart. You could win a scholarship to one of Joffrey Ballet School’s summer intensives, or even a paid apprenticeship with the Joffrey Ballet Concert Group! To enter, visit www.danceinforma.us/ballet-scholarships. 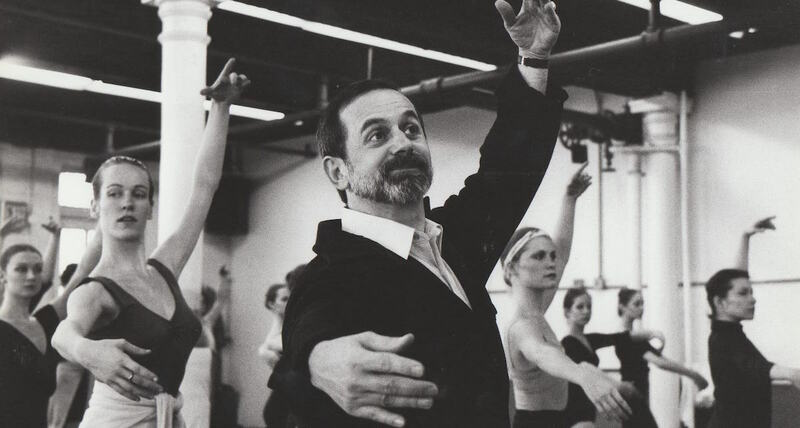 Photo (top): Robert Joffrey teaching class. Photo courtesy of JBS.